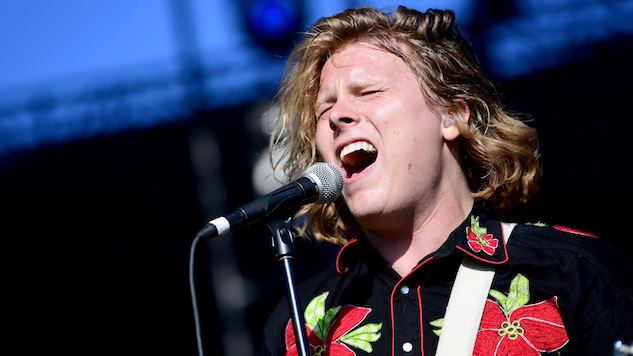 Is Ty Segall trying to break the record for most albums released in one year? Who knows, but he’s well on his way regardless. At his Oct. 18 “Orange Rainbow” art show’s opening reception in Los Angeles, Segall surprise-released a limited run—literally only 55 copies—of his fourth new album this year, also titled Orange Rainbow. Officially listed on Discogs, with a tracklist confirmed by Pitchfork, the 13-track album was self-released. Available only on cassette, there were four different color variations of the cover: 11 red, 11 orange, 11 bright yellow and 22 deep yellow. Check out the red variant, as well as details of the handmade tapes, in the Instagram post below. So far, there has been no information regarding a wider release of the surprise album. However, considering how under-the-radar the release was, it’s likely that Orange Rainbow will remain exclusive. However, somewhat lessening the pain of not being able to grab one of the extremely limited copies of the album, fans can find catch Segall live on his solo acoustic tour this fall. Check out the dates below, beneath Segall’s 2010 Daytrotter Session.